Pouring liquids on her own using both hands, or cutting her food and feeding herself using a fork involves much more than just having the required muscular strength and hand and finger coordination to hold a cup or pick up utensils. Beyond the physical skills, archiving independent feeding relies heavily on the visual-spatial ability of a child to process where the food and feeding utensils are in relation to the body, particularly the hands and mouth, and the coordination of movements needed to eat. Between 3 and 4 years of age, kids are continuously developing their capacity to organize the information of what they see, interpret it according to the context of the environment and compare it with previous experiences, and integrate it efficiently in the body movements. 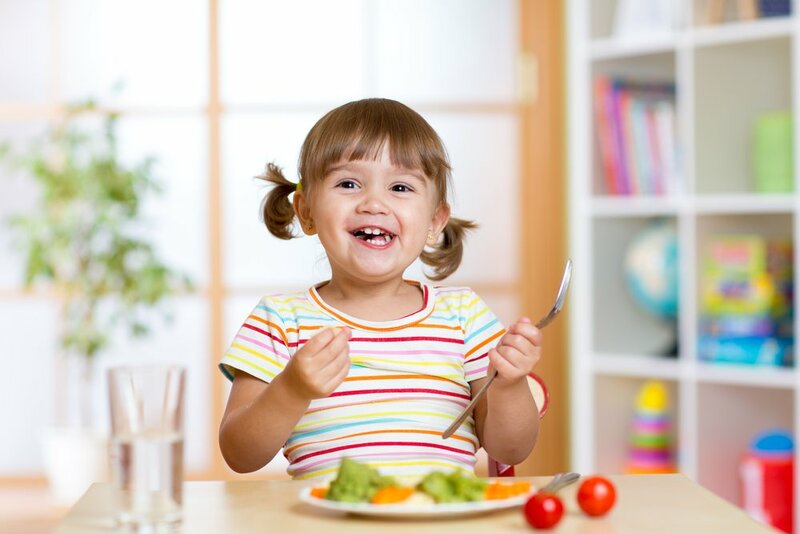 If your child is still young, you will notice how, in the beginning, she might err when evaluating how much force is needed to hold a fork in the hand, and either drop it alongside the food or have such a firm hold on it that moving becomes hard. Your kid might be very intent in eating independently, have a pretty good grasp of the spoon and nonetheless miss her mouth! Considering the complex task your baby girl is undertaking, you can help her early on by offering finger foods to try and exercise her hand-eye coordination. Have child-sized utensils and training cups or attachable bowls if possible. But most importantly, encourage your daughter to try and be as independent as possible and be very supportive and encouraging when you see she’s getting frustrated. It’s never too early to reap the emotional benefits of exercise!